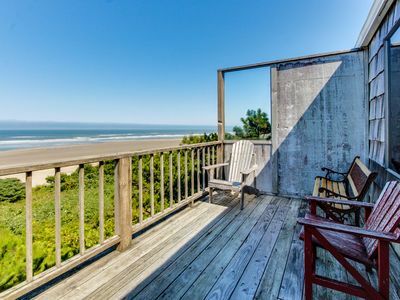 Ocean Front with Sandy Beach! 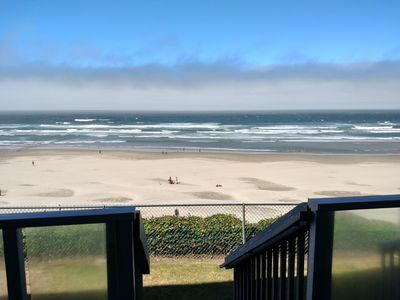 Free Night! 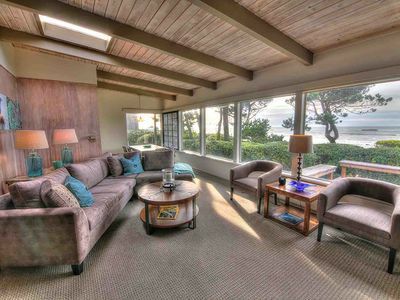 Sweet Homes Rents brings you this gorgeous, ocean front home that features tranquil finishes and modern decor. 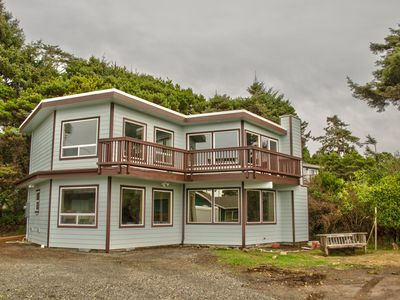 The Tranquility Rocks home is located in the heart of Seal Rock and sleeps up to 6 guests, with 3 bedrooms and 1.5 baths. 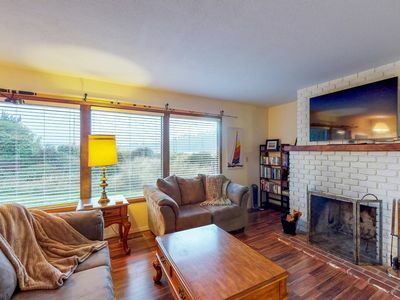 You will love this one story home's dramatic ocean views from the full wall of windows in the living and dining room, and 2 walls of windows in the master bedroom looking out to the mighty Pacific, as well as enjoying the warm glow of the fireplace (Duraflame or presto logs only). 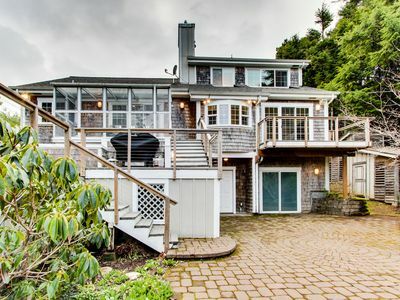 For the adventurous, there's staircase access to the beach from this property, or if you prefer, there's easy access from the Seal Rock Wayside 1/2 of a mile North of the property. 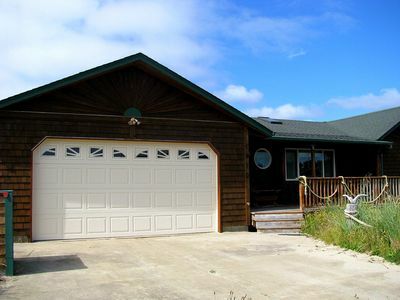 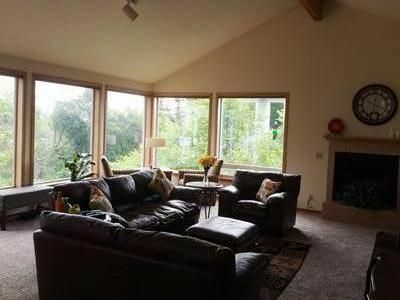 The well known Seal Rock State Park is just 1/2 of a mile to the South of this fantastic home. 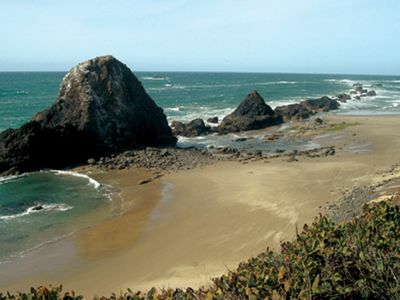 The magical drama that Seal Rock is known for will mesmerize you as the endless waves crash into the gorgeous rock outcroppings on the sandy beach below creating a memorable backdrop for incredible sunsets, sunrises, star gazing and storm watching. 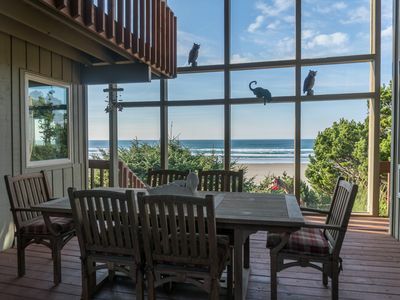 This home is a one-of-a kind beach getaway for a romantic stay on the coast, a family gathering, or an adventure at the beach with friends. 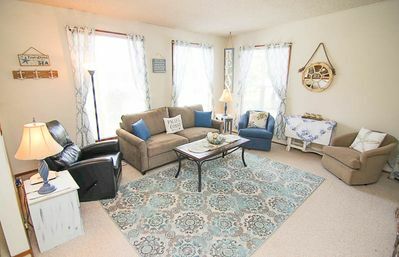 This home also has a washer/dryer. 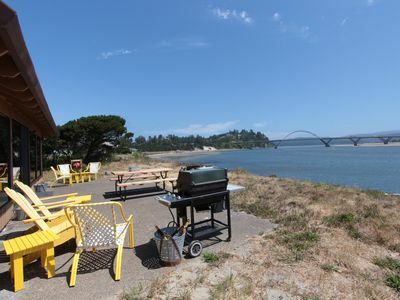 Explore the sweet hamlet of Seal Rock where residents still appreciate small town life and the raw, undeveloped natural surroundings that thrive along its course. 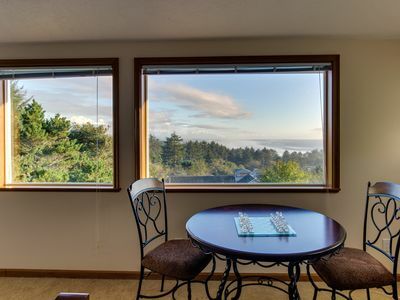 If you prefer solitude and building memories away from the busy tourist destinations, Seal Rock is the place to be. 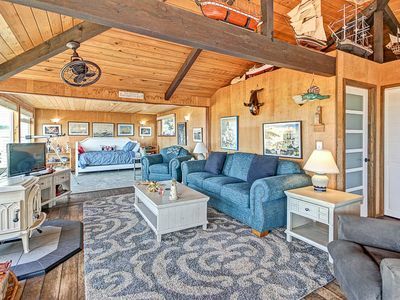 You will find delightful galleries, shops and restaurants to visit. 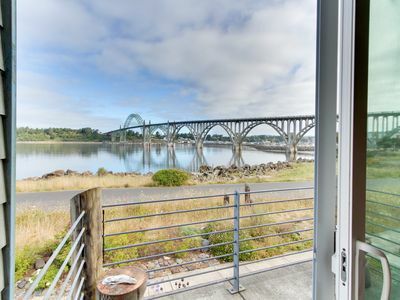 Just North on Highway 101 you'll find the city of Newport with it's expansive bay, fresh seafood and tourist attractions like the Oregon Coast Aquarium. 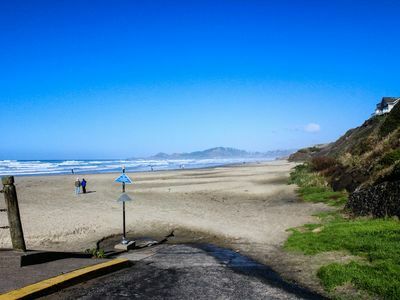 To the South on 101 you'll find the towns of Waldport and then Yachats which are full of antique shops, restaurants, galleries, and gorgeous beaches. 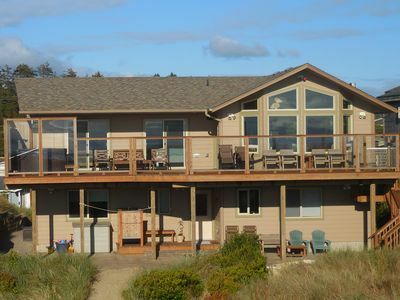 The Tranquility Rocks home in Seal Rock is a perfect and peaceful base for your central Oregon coastal adventure. 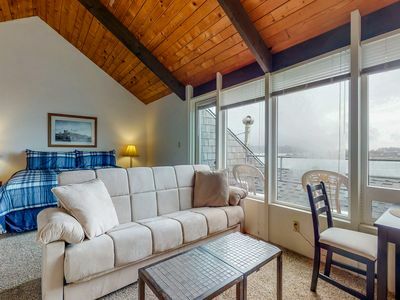 Upscale bayfront townhome w/ bridge & water views, great location - dogs ok! 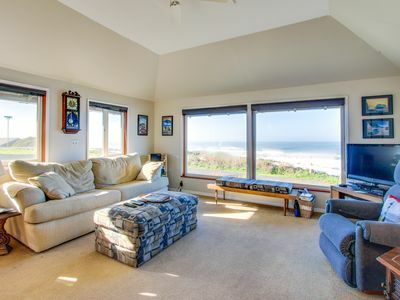 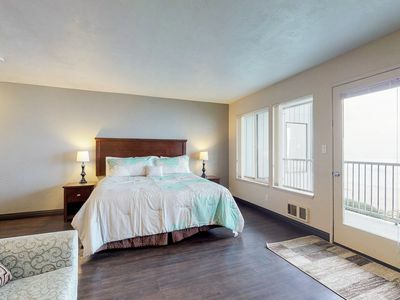 Cozy, oceanfront Nye Beach bungalow w/ incredible sea views - great location! 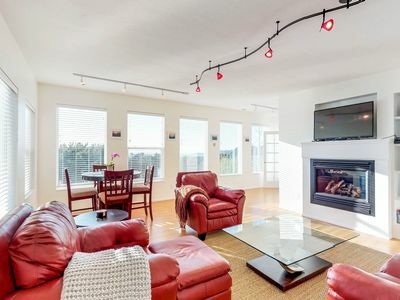 Bright, modern house w/ fireplace, entertainment & full kitchen - walk to beach!